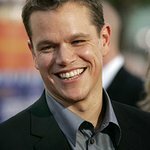 Matt Damon has launched a new charity project aimed at providing access to safe water in the some of the world’s poorest countries. Damon is to merge his H2O Africa charity – aimed at creating widespread public awareness of the water crisis in Africa and gathering support for clean water programs in critical areas – with WaterPartners to create a new organization – Water.org – a non-profit focused on bringing access to safe water and sanitation to the developing world. Water.org will leverage grassroots awareness-building expertise and nearly two decades of demonstrated innovation and success in the sector to help the nearly 890 million people without safe water and the more than 2.5 billion people without safe sanitation. To visit the official site of the new organization, click here.